It is no longer a question of whether diversity makes sense for executive leadership teams and boards – it does. As evidenced by a recent study from McKinsey & Company, companies with more diverse leadership teams – in terms of gender, race, ethnicity, or age – outperform their competition. The question on the mind of most companies now is how to ensure that their diversity recruitment efforts are successful. 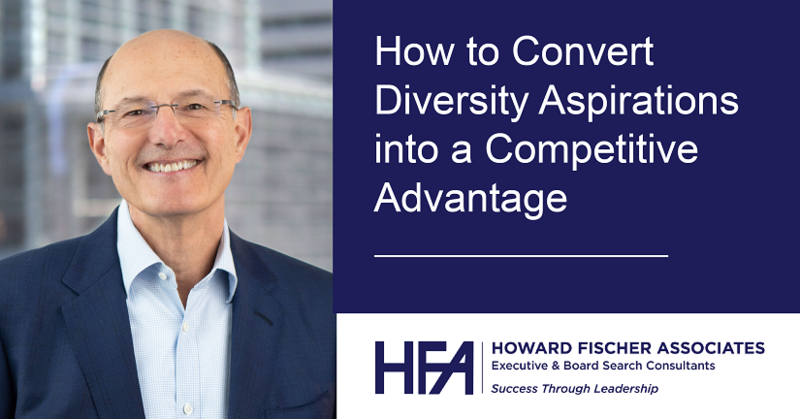 In this article, our Founder and CEO Howard Fischer explains how companies can identify and meet diverse executive talent on a continuous basis to improve their bottom line.